In the middle of the Atlantic Ocean, to the west and the north of Scotland and in the north of Norway rugged islands can be found where local communities have lived for thousands of years. Sailors, hunters, fortune seekers, Vikings and Christian monks, all in one way or another ended up on these islands and forged unique cultures that are still very much alive today. Besides the remains of thousands of years of human history, these islands also teem with wildlife. 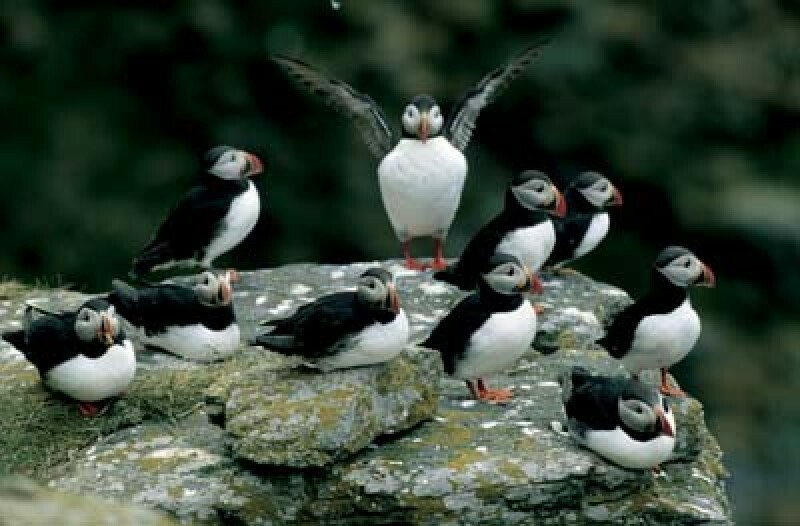 As they are close to rich feeding grounds in the adjacent seas and as the coastal cliffs offer good breeding possibilities some of them have the largest bird colonies in the North Atlantic, home to hundreds of thousands of birds. 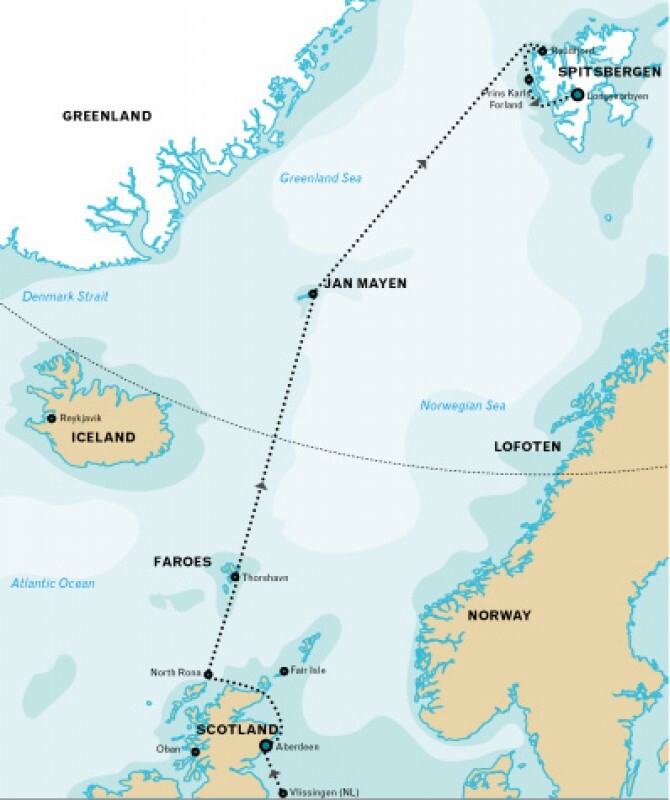 Itineraries in the North Atlantic include the Scottish islands (Hebrides, Orkney Islands and Shetland Islands), the Faroe Islands, Iceland, Jan Mayen, Bear Island and Lofoten. Note: Some of these islands are visited on separate expeditions, e.g. the Scottish islands and Lofoten. Others are visited during expeditions from Scotland to Spitsbergen, and from Spitsbergen to Greenland/ Iceland. Famed as the Granite City and many times a winner of the Britain in Bloom competition, this is the embaraktion point for some itineraries. The Scottish islands remain a final frontier on the edge of what was once the known world. Their unique cultures and wild, unspoilt and often breathtaking scenery have long attracted travellers and nature enthusiasts. Scotland has more than 800 offshore islands that can be roughly divided into three groups: the Orkney Islands, the Shetland Islands and the Hebrides. The interplay of the land and the sea together with the people and their history give each of these islands their unique charm. Peace and tranquillity characterise the islands. Steeped in history, there are over 1,000 recorded sites of interest, many built before the pyramids. Joining one of our expeditions offers a great opportunity to witness these unique places. The Scottish waters offer excellent possibilities to spot Minke Whales, White-beaked Dolphins and Harbour Porpoises. 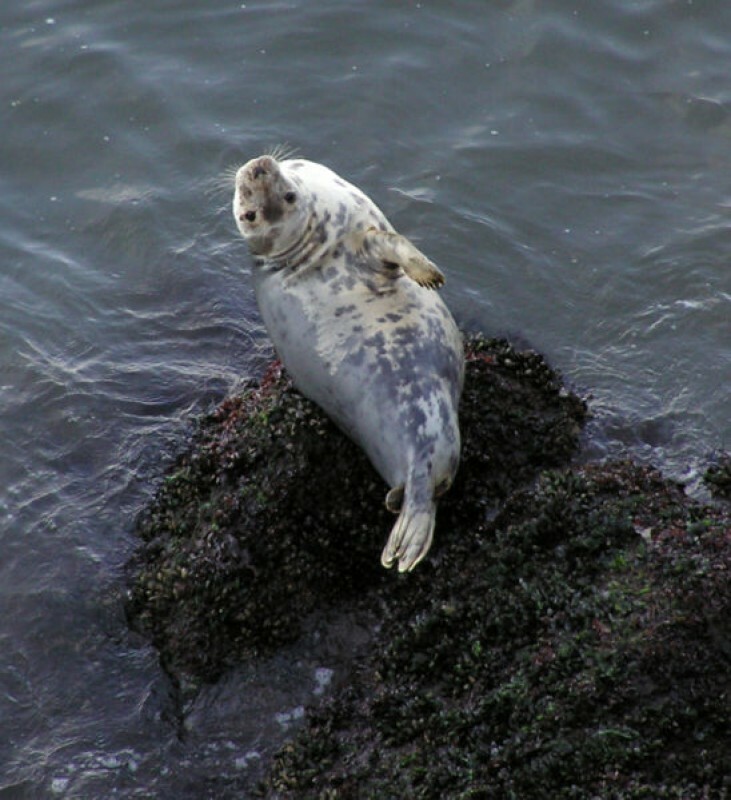 Several other cetaceans, including Orcas (Killer Whales), are also native to these waters. 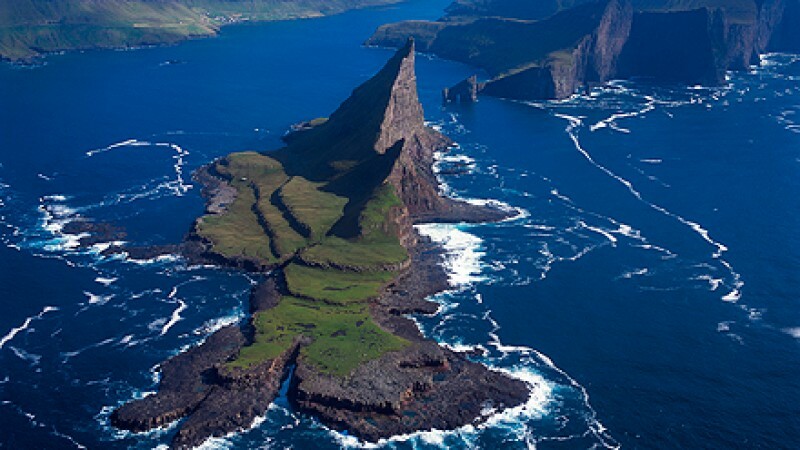 The Faroe Islands are situated about 350 kilometres to the north of Scotland. The archipelago consists of 18 islands and the topography is mainly hilly with its highest point (Slættaratindur) being 882 metres above sea level. The coastline is mostly bordered by cliffs that are often adorned by huge seabird colonies. 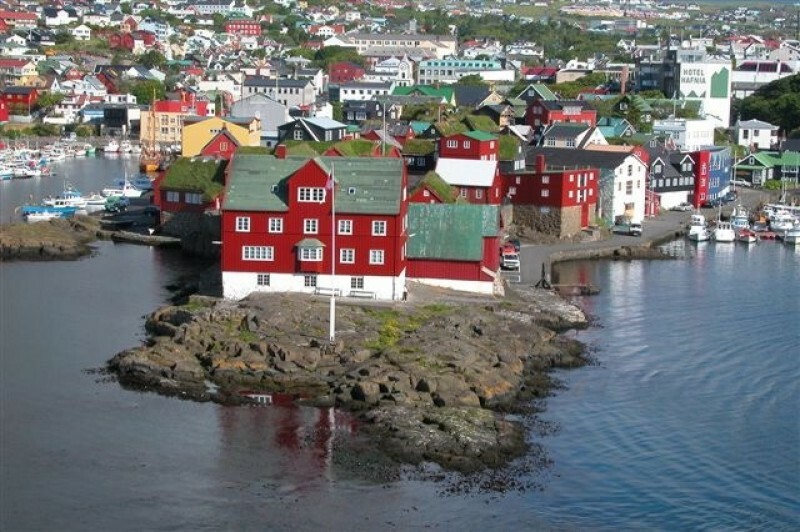 The Faroe Islands are peppered with fishing villages and have a rich Norse Heritage. Iceland is situated in the middle of the North Atlantic Ocean, about 800 kilometres north of Scotland and only 280 kilometres from Greenland. 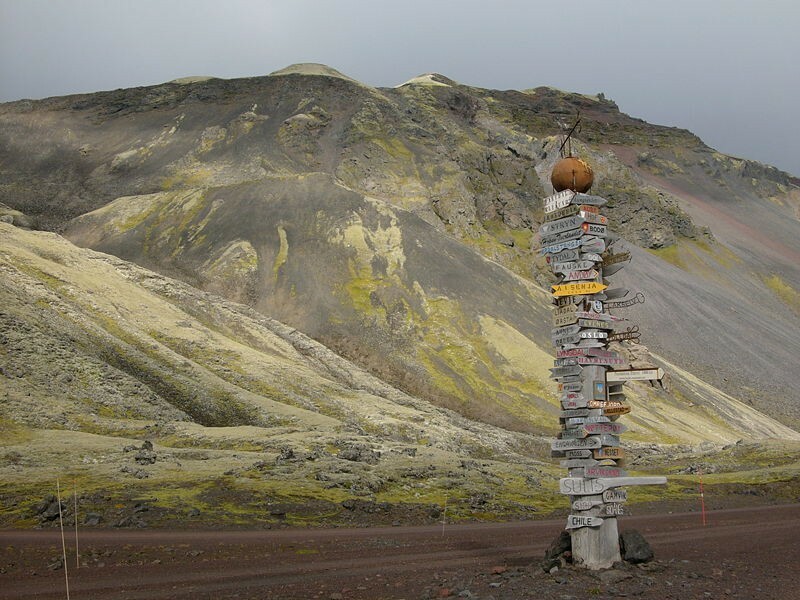 Although the vast majority of Iceland is located below the Arctic Circle, a small island, Grímsey, is crossed by it. The island is geologically very young; it was created only 16 to 17 million years ago on the Mid-Atlantic Ridge by the movement of the American and Eurasian tectonic plates. The Mid-Atlantic Ridge is still visible at Þingvellir (Thingvellir). There is a lot of geothermal activity in Iceland, with about 800 hot springs including geysers. The first people that probably set foot on Iceland were monks from Ireland that settled in the 8th century. Around 870 the first Norseman, settlers from Norway, arrived and drove away the monks. Over the centuries more settlers arrived from Norway. Nowadays Iceland is a modern, technologically advanced country within 5 hours of the east coast of the United States. It is the ideal place for taking a break and for visiting a European outpost with an exciting, lively, and ancient - but living - culture all of its own. Jan Mayen is a 55 kilometres long island set in the North Atlantic Ocean, half-way between Iceland and Spitsbergen. Its geologic origin is volcanic, being on a hotspot of the Mid-Atlantic Ridge. The still active volcano, Beerenberg (2200 metres, 7218 feet), dominates the island. The island is named for Jan Jacobsz May, a Dutch whaler who landed here in 1614 (though the island had been seen before) and was a major whaling centre for both Dutch and English whalers. In the years that followed his visit, several summer settlements were established. Seven Dutchmen who tried to over winter in 1633-34 all died because of scurvy. 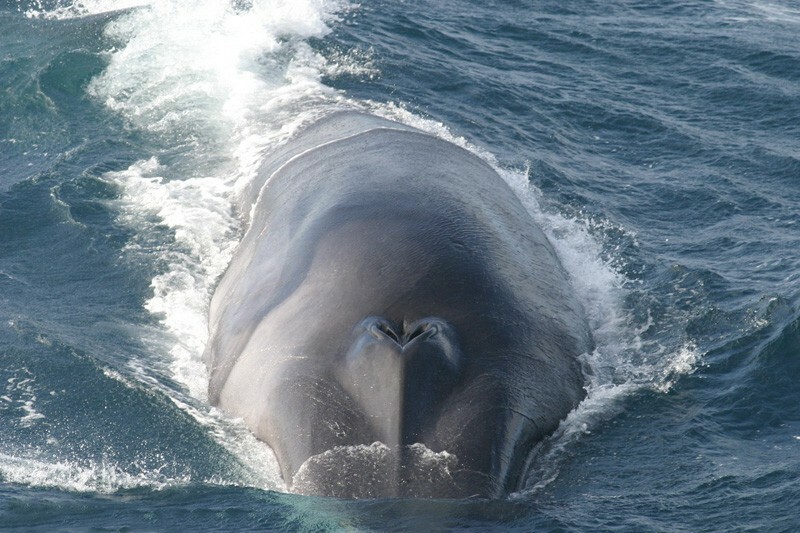 When whaling ceased, the difficulties of access and the poor climate limited human activities on the island. The first impression the visitor gets of the island is one of a rough, inhospitable landscape, studded with snowfields, the sides of Beerenberg swept by glaciers separated by steep, rocky faces. 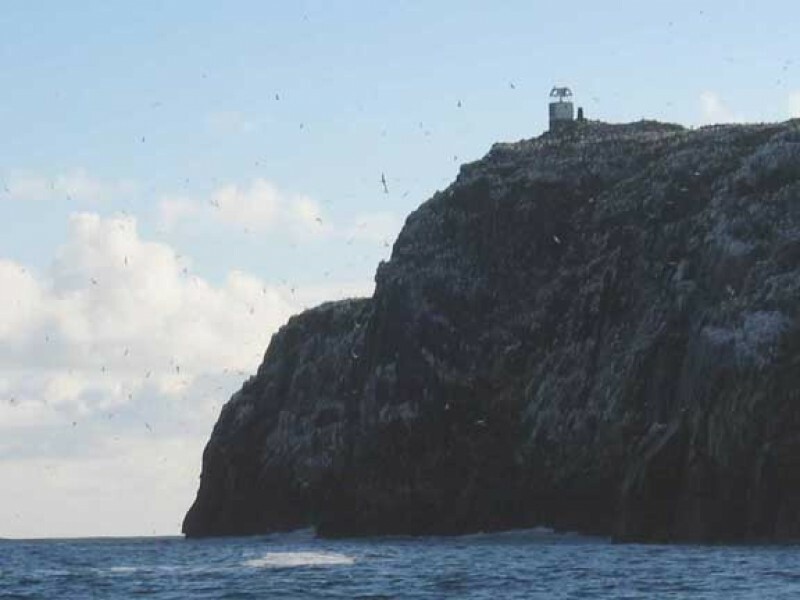 Norway established a weather station on the island in 1921. Since 1930 Jan Mayen is part of Norway. Bear Island, or Bjørnøya in Norwegian, is the southernmost island of the Spitsbergen archipelago. It is located in the Barents Sea, about 450 kilometres (280 miles) north of Norway and about 225 kilometres (140 miles) south of Spitsbergen. The island is approximately 20 kilometres long and 15,5 kilometres wide (12 by 10 miles). The northern part of the island lies only 30 to 40 metres (100 to 130 feet) above sea level and is rather flat with numerous small lakes. The southern part is mountainous, the highest top being the Mysseryfjellet (536 metres, 1758 feet). The southern coast consists mainly of high cliffs, up to 400 metres (1300 feet) high, that are occupied by thousands of guillemots. Bear Island was probably discovered by the Dutch navigator Willem Barentsz in 1596. The name Bear Island was given by this expedition as a Polar Bear was seen swimming nearby. Soon after the discovery by Barentsz, British walrus hunters visited the island, taking home big loads of walrus tusks, skins and oil. Throughout the 17th and 18th century Bear Island was a base for Dutch and British whalers. In the beginning of the 20th century minerals became an important goal for the exploitation of the island. Several minerals were found, though not in large quantities. Only coal turned out to be worth mining (for a while). Between 1918 and 1932 a Norwegian mining company operated a coal mine and remains of the mining settlement, Tunheim, can still be seen. Nowadays Bear Island is uninhabited apart from the staff of Bjørnøya Radio, the Norwegian meteorological and radio station at Herwighamna. The Lofoten is an archipelago in northern Norway. The islands, around 80 in total, are located above the Arctic Circle. Most of the islands are mountainous, the highest peak (Higravstinden) measuring 1161 meters (3800 feet). Lofoten stretches out like a wall of mountains, the "Lofoten Wall". Between the mainland and Lofoten lies Vestfjord. 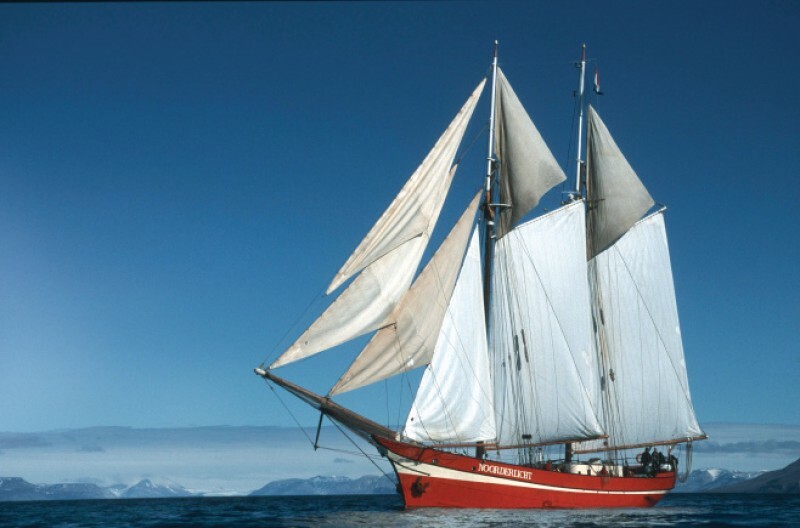 It is here that we carry out our autumn and winter voyages with our sailing vessel Noorderlicht. The Noorderlicht is a beautiful 46 meter long schooner that was built in 1910. The passenger capacity is only 20: it is the ideal ship for those who want a small-group experience. The deck house and saloon are cosy and spacious. The deck house of the Noorderlicht contains a library with a good selection of books on Lofoten and the Arctic besides a selection of novels in various languages. A great moment to catch up on the books you always wanted to read. You can also enjoy the good Noorderlicht cuisine. In the evenings lectures are given, and movies and documentaries are shown. 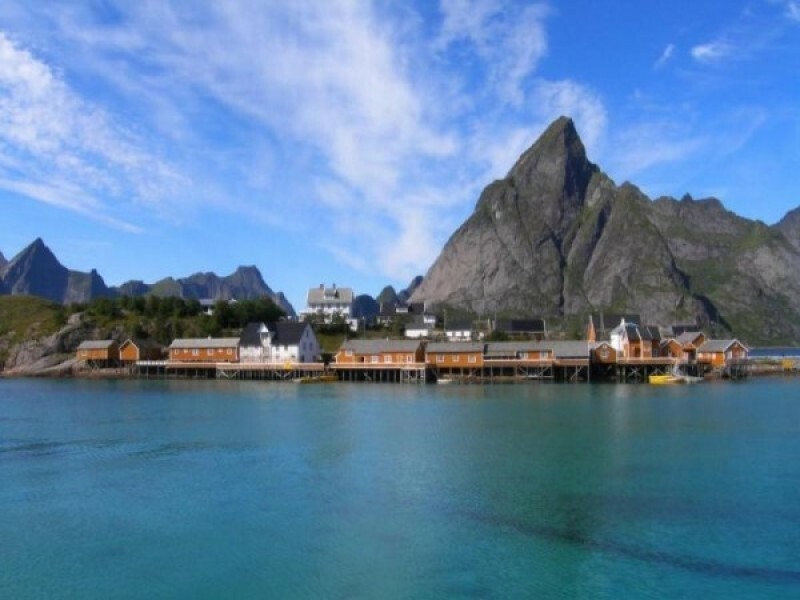 The first settlers on Lofoten arrived more than 6000 years ago. These Stone Age dwellers lived from fishing and hunting, Lofoten was at that time covered by an extensive pine forest. Although these ancient people did not leave much behind, evidence of their existence can be found in the petroglyphs they carved in the hard Lofoten rock. In Leiknes life-size pictures were carved of a Killer Whale, Elk and birds. 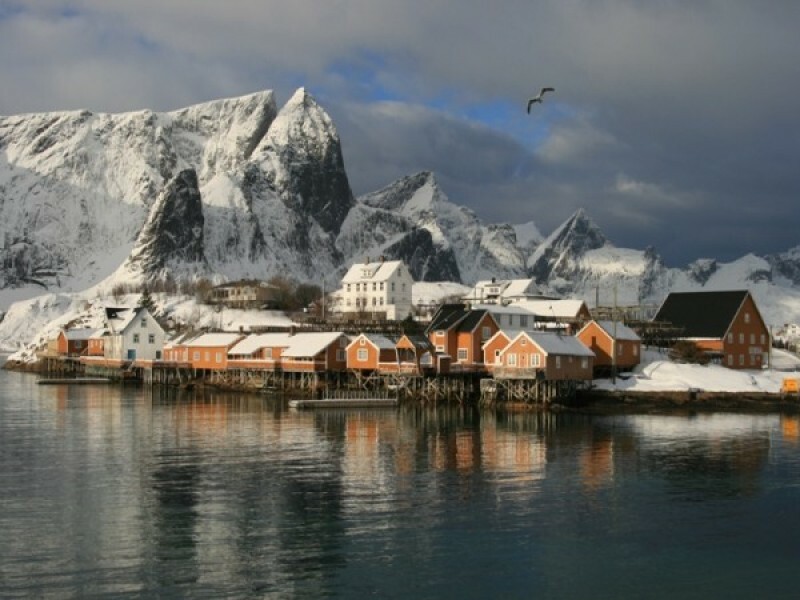 Lofoten has been the centre of Cod fisheries for more than a thousand years. Cod migrate from the Barents Sea to the south and gather in Lofoten to spawn. 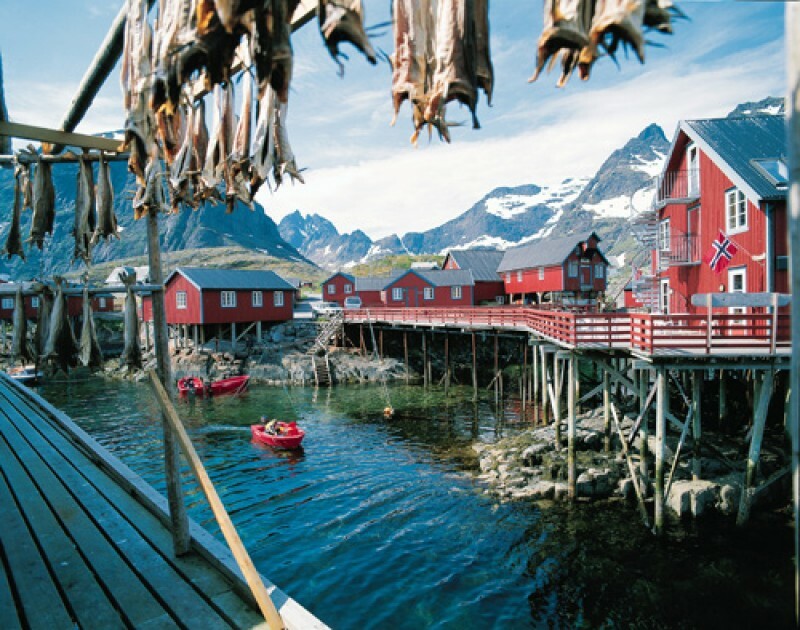 The dried and salted Cod, "Stockfish" or "Bacalao", was the staple food in Lofoten and was sold all over the world. 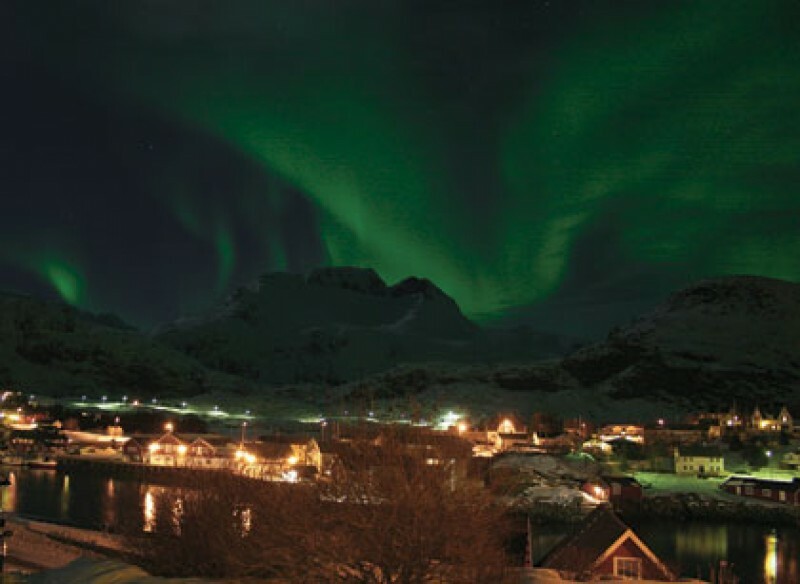 One of the great attractions of the Lofoten area are the Northern Lights. Not many people know that the islands are located at exactly the right latitude for seeing the Aurora Borealis. The Northern Lights are caused by eruptions on the sun and can only be seen when it is dark. The fairly long periods of darkness in November and December make our Lofoten expeditions an ideal opportunity to admire this unbelievable phenomenon. Furthermore, the Northern Lights can only be seen when there is little light disturbance, something that is guaranteed in Lofoten.